With Facebook’s new move to South Lake Union it will more than quadruple its current Seattle office space. Facebook has agreed to rent 8 out of the 10 floors in the new Dexter Station building located at 1101 Dexter Ave. N. With over 280,000 ft.² of space, this new facility is 4 1/2 times what Facebook currently occupies in the Denny Triangle neighborhood. These eight floors can accompany 2000 new employees. Regardless of the new space, Facebook is assuming they will need even more space, signing an option to take over the remaining two floors if necessary, however this is simply speculation as Facebook spokes people and one of the developers of Dexter Station refused to comment on the intended option. Developers of the Dexter Station have also signed new leases with Weyerhaeuser, which is moving its headquarters to a new 180,000 ft.² building in Pioneer Square. 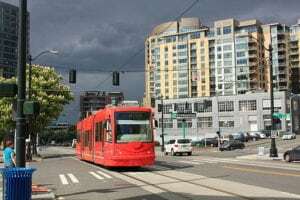 The Seattle based Capstone Partners made a $136 million gamble two years ago when they broke ground on Dexter Station as it was not leased at the time. Now, the company could sell the leased building for a hefty profit having Facebook, a $212 billion company, taking up the majority of the space. The Dexter Station is the second major office deal in just over a month in the South Lake Union area. Additional development is underway including more than 1000 new apartments and several residential buildings. One of the Northwest’s largest locally based insurance companies, Pemco, stated it would be buying the former Casey Family Programs Building at 1300 Dexter Ave. N., moving its 350 employee headquarter operation to the new 80,000 ft.² building in 2015. For more information on South Lake Union real estate, condos and available properties in this area please contact Mary Pong. Mary would be honored to send you a list of homes and real estate that meet your search criteria and price in South Lake Union and surrounding Seattle suburbs.